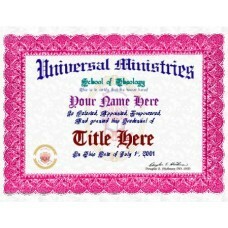 Choose your Registered Degree from the drop down list. 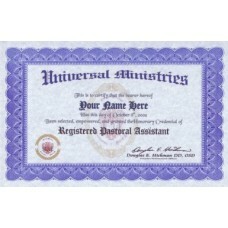 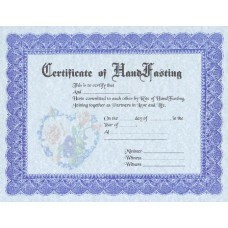 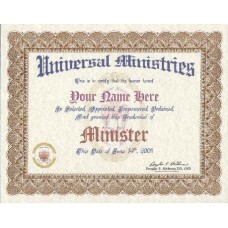 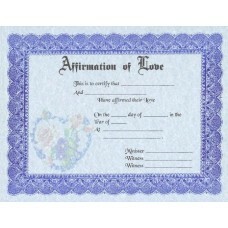 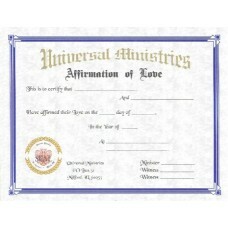 Personalized with the name you specify.N..
(Diploma style) The Fancy ordination certificate Comes printed with your legal name and your ordin..
(Diploma style) Comes printed with your legal name and your ordination date.You must already be O..
You will receive the Basic Ordination Certificate showing your ordination into our Universal Ministr.. 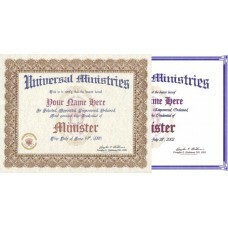 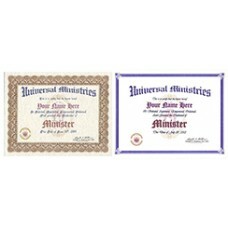 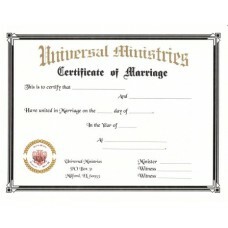 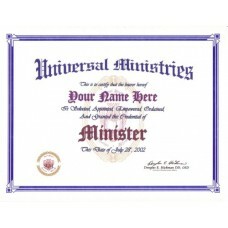 Note: You must be ordained with Universal Ministries to request these items.The R001 is the same as .. 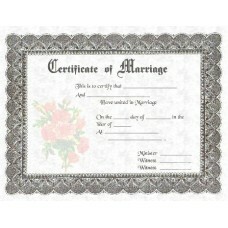 PLEASE NOTE: These certificates are NOT legal documents.They are intended for display purposes .. 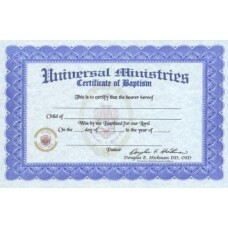 NOTE: These certificates are NOT legal documents. 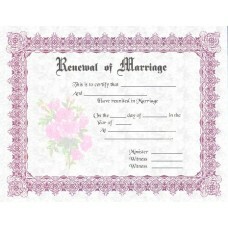 They are intended for display purposes only. 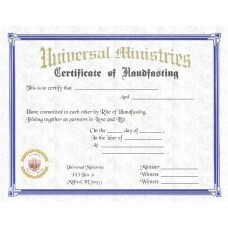 Coupl..
NO SHIPPING CHARGE#BaptismCertificateThe Baptism Certificate is given at time of Baptizing a person ..